On Innovation Day, a yearly demonstration event for Blue Science Park, BTH, and entrepreneurial companies, Product Development Research Laboratory debuted it’s Volvo CE collaboration project. The scale site and its scale Volvo machines serve as an interactive demonstration tool for the potential impact of autonomous and electrified vehicles on future construction sites, as well as it is a display of the innovation approach that has been developed in the research collaboration within Model Driven Development and Decision Support profile. 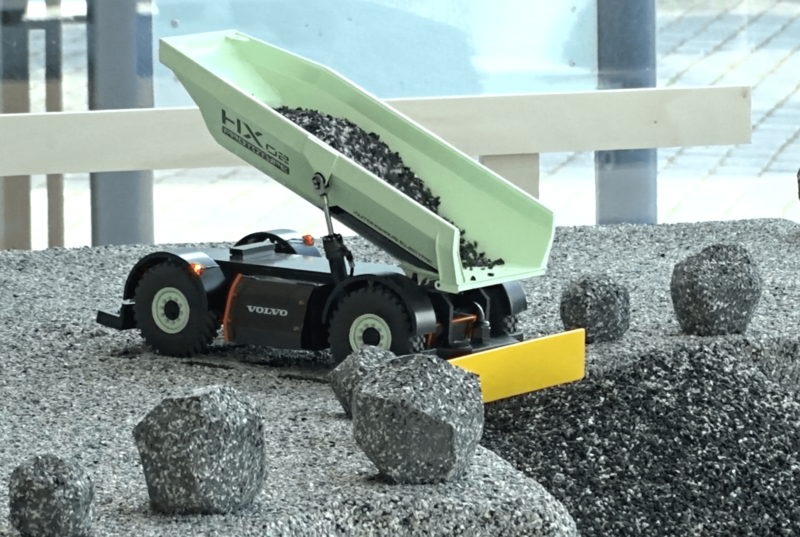 At the demo users could operate the digging machines as if manually driven with the scale Prototype HX02 haulers having the option of fully autonomous, semi-autonomous or manual operation. Felicia von Schenk interacting and controlling machines via Hololens. She’s doing here master project on the project. Nish demoing the Hololens interaction. The Microsoft Hololens offers an augmented reality interface with vehicle recognition through object detection prompting voice enabled commands. 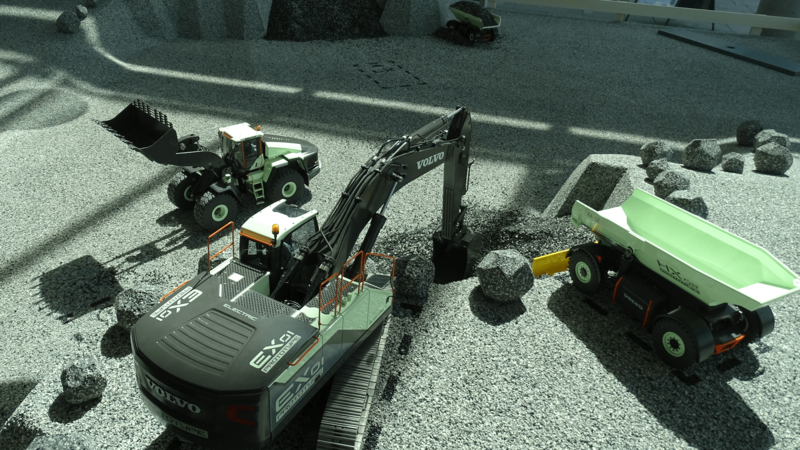 In its current deployment the system is a first step in the process to create a fully autonomous scale construction site capable of running data driven simulations (powered by IoT connection and sensor data from machines) of both machine operation and human-autonomous machine interaction of the distant and not-so distant future. With the site and scale machines here at BTH, it serves as a research platform for experimenting in engineering, mechatronics, coding and software development towards creating radically innovative solutions for the market. It is both a research demo arena, and also a student collaboration arena. The scale site is also intended to be shipped around at events for display of a future to come. Besides fully automated schemes, there was the possibility for visitors to also try some digging themselves via a motion based simulator at the set. For more information: Professor Tobias Larsson, Research Assistant Ryan Ruvald.